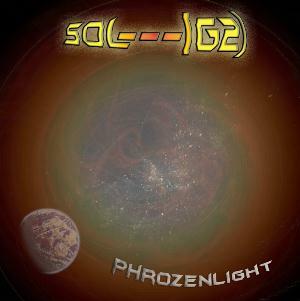 Sol (G2) is Phrozenlight continuing on the trail of boredom that he's been floating on over the past few releases (all released in January-February 2006), but this album is actually slightly better. Among the ambient drones of hovering darkness are synthesized choir-sounds and the sounds of the sun's warm rays that were present in Phrozenlight's better recordings. Still, though, this album is mostly uneventful droning ambience with minimal effects, with strong emphasis on minimal. This is album is also slightly better in that the context of the music on each track vs. the tracks title is more fitting and convincing. "Helios" actually does kind of have a warm, sunny, large, and ominous kind of feel with the sounds of solar winds flaring outward. "Solarised" is a little more dissonant in sound, but is also a little less convincing than "Helios". As with other releases by Phrozenlight, these tracks are long (each is roughly half of the entire album) but don't progress at all. I do understand that stark minimalism is the game to play for ambient musicians, but not for someone who lists Klaus Schulze and Tangerine Dream in their influences. I'm still hoping that some of the future releases from Phrozenlight offer some better variation in sound. I was previously impressed by some of the earlier work in Phrozenlight's catalog, but lately I've been left a bit dry.